It is widely accepted in the scientific realm that apex predators play a vital part in our ecosystem. Whilst these top predators play crucial roles in the structure and function of the food chain, how much they actually eat is often uncertain and measuring the predation rates for large marine predators can prove challenging. A new paper lead by Biopixel’s Principal Scientist Dr Adam Barnett brings together multiple types of information from a comprehensive suite of studies to estimate predation rates by a key marine apex predator, the Broadnose Sevengill shark, Notorynchus cepedianus. The authors integrated demographic, ecological and energetic information to construct bioenergetics model to provide estimates of predation mortality for a number of prey species including gummy sharks, a key fisheries species. In fisheries research and management, natural mortality can be difficult to quantify yet is one of the most important parameters for setting sustainable harvests. 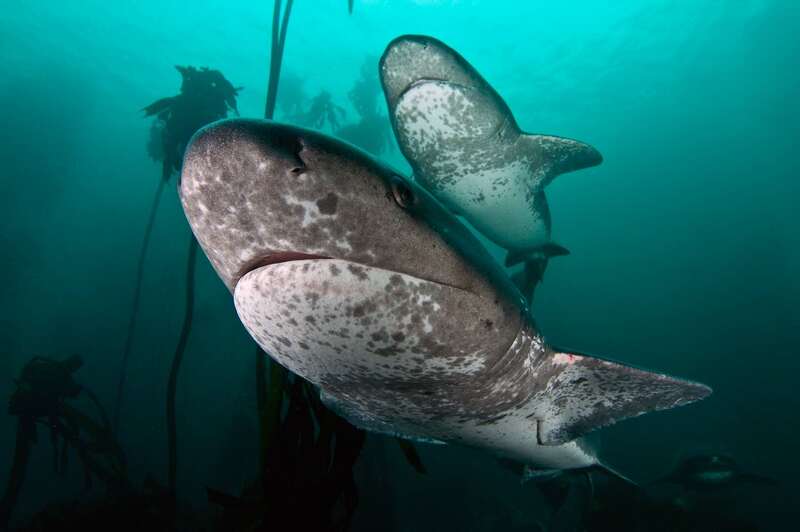 The findings suggest Sevengill sharks have a considerable contribution to total predation mortality (a component of natural mortality) on this key fishery species. For free access to this paper click here. Photo by Morne Hardenberg, Shark Explorers.